Anne Frank was not the only one who kept a diary during the Holocaust. Many other young Jewish people also wrote about their lives and their feelings in those difficult times. Read here about the differences and similarities with Anne's diary. Her words were hauntingly prescient. For decades, the world did indeed come to know about the Holocaust without her “scribbling”, which languished, untranslated, in an archive in Poland. 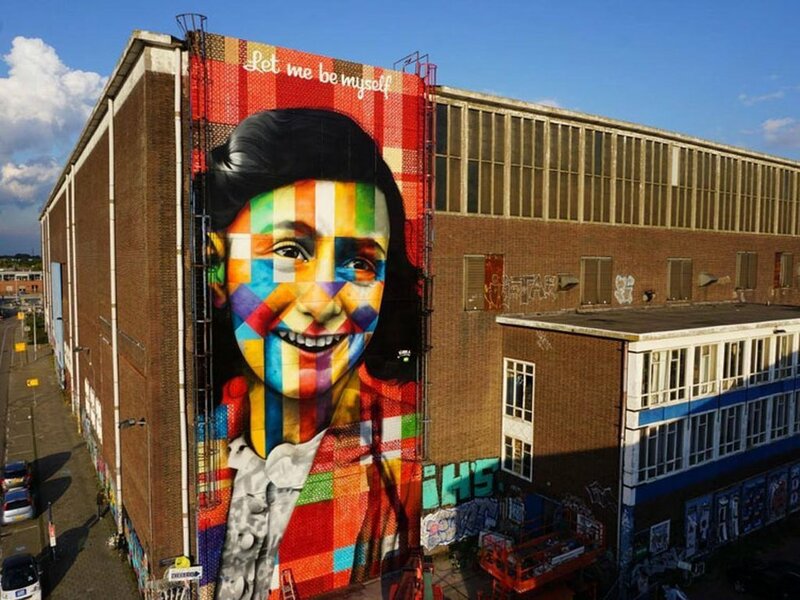 In a twist of fate, however, it was precisely Anne Frank’s “musings,” as she described them, that brought the subject of Jewish suffering during the Holocaust into the homes of many millions of readers. 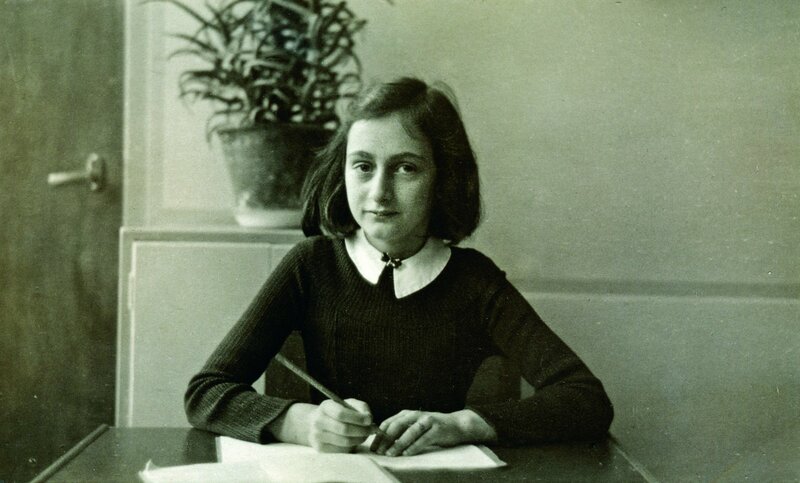 Anne Frank at her desk at the Montessori School in Amsterdam (winter 1940). In this picture, Anne is 11 years old and in sixth grade. Decades later, more than seventy-five diaries of young writers have surfaced from the wreckage of the Holocaust, and many dozens more remain untranslated in archives around the world. Who are these writers? 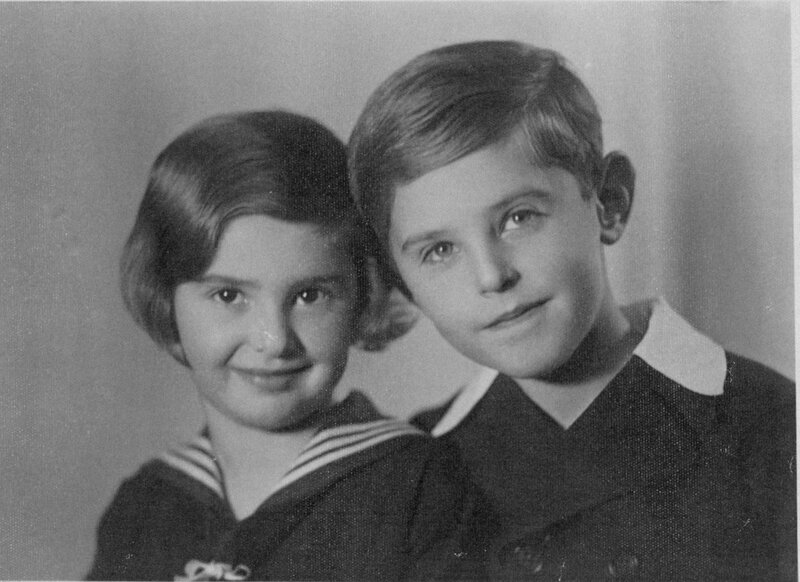 They were both boys and girls; their diaries begin as early as the mid-30s in Germany and span the entire period of the Holocaust, several ending only after liberation. Some wrote as refugees, others in hiding or passing, and still more inside the Jewish ghettoes of Eastern Europe. Some came from affluent families while others were the impoverished children of peasants or laborers. Some were assimilated Jews while others were strictly Orthodox and many fell in somewhere in the middle, including several children of mixed marriages and at least one convert to Catholicism. They wrote in Germany, Austria, Holland, France, the Protectorate of Bohemia and Moravia, Poland, Lithuania, Latvia, Russia, Romania, and Hungary; not surprisingly, their writings reflect Europe’s linguistic Tower of Babel, including Yiddish, the mother-tongue of East European Jews that was almost entirely extinguished by the annihilation of its population. More than anything else, however, it is the ineffable, inimitable voice of each writer that is caught and preserved in the pages of their diaries. Each one reflecting the particular constellation that makes us who we are: a name, a family and friends, history and memories, interests and talents and affinities, beliefs and questions and dreams and disappointments. In the face of bewildering suffering and loss, they could be earnest or angry, cynical or naïve, hopeful or despairing, urgent or resigned. In their efforts to leave a trace of their lives, some recounted events as dry reporters while others were literary chroniclers; some railed like angry prophets and some asked the questions of wise theologians. Some wrote simply, reporting on events as they occurred with little commentary. Others sketched the cataclysm as it unfolded around them, using their literary gifts to capture both its minute details and its unprecedented enormity. Is Anne’s story too limited? Much has been written about Anne Frank and whether her story was the best one to represent the Holocaust to mass audiences. Some have said her story was too particular: that being in hiding meant she was spared exposure to the most gruesome horrors. Others felt that she represented a too familiar figure – secular, assimilated, upper-middle class and Western. Later, many observed that her youthful optimism was appropriated in ways that minimized the meaning of this watershed event. These objections may be true but, in the end, they are beside the point. The problem is not whether Anne Frank was the “right” one to represent the victims of the Holocaust but that no single person ever could. Still, Anne’s words are the ones we know best. Since her diary defined the genre we seek to explore, it seems only right to begin with its most iconic elements, putting them side by side with those of her fellow writers to find the echoes, layers, contradictions and complexity that run through them all. Let us begin with coming of age. 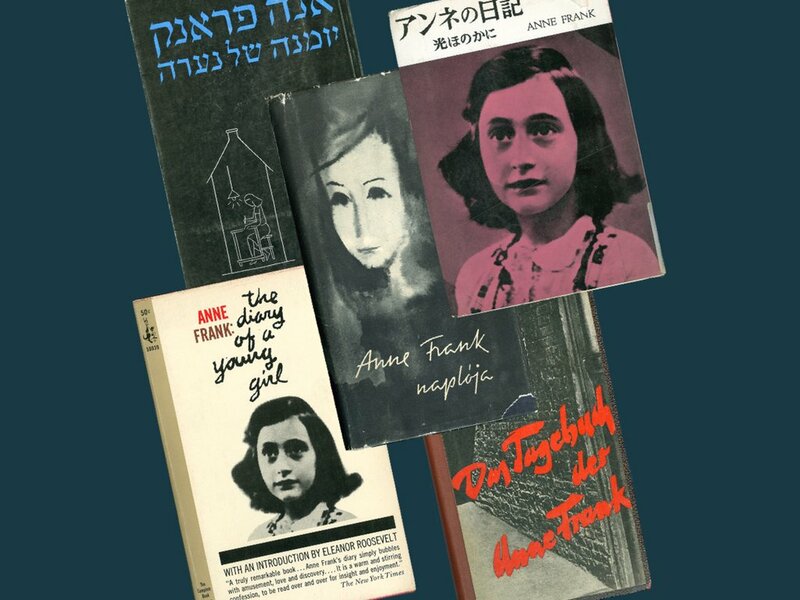 For many readers, Anne’s diary resonated more as a “diary of a young girl” than a “diary of the Holocaust:” her efforts to give voice to her inner life seemed to illuminate many previously unacknowledged complexities of adolescence itself. Very few other writers used their diaries in such a sustained way to examine questions of identity and growing up. Then again, not many writers were cooped up in a tight space for so long with their immediate family and with so little else to do but chafe against one another, and muse about how that chafing reflected their growing pains. Still, the question of identity – the project of defining oneself in relation to family, religion, nationality, history – runs through nearly every young writer’s diary of this period. Traces can be found in the diary of Moshe Flinker, an Orthodox boy passing as a non-Jew in Belgium, who grappled with his Jewish identity and his faith; in Klaus Langer, an assimilated Jew in 1930s Germany whose interest in Palestine and the Jewish young movement stood in contrast to his father’s more traditional German tastes and values; in Dawid Sierakowiak, who rejected his father for his tragic failures of character in the face of extreme deprivation; in Yitskhok Rudashevski who wrestled with himself about whether he should follow his heart and pursue classical studies or learn a trade in order to better survive the war years. To varying degrees, every writer reflects the fraught lens of the adolescent self, but this complexity is compounded by the fact that one aspect of their identities - being Jewish - was suddenly not only a defining one, but a mortal threat. In his diary, Moshe Flinker described how he struggled with his faith because of the persecution of the Jews by the Nazis. The photo is used with his family’s permission. Another lasting contribution of Anne’s diary is her day to day reporting of the hardships, challenges, deprivations and small joys of her life in hiding. Otto Wolf also kept a diary in hiding though he wrote in the Protectorate of Bohemia and Moravia, living with his sister and parents in the forest, often outdoors or in temporary shelters and later with local non-Jewish neighbors. There are strong echoes – the fear of capture, the care not to leave traces or make sounds, the tedium, the logistical problems, and even the occasional moments of reprieve. But unlike the Frank’s protectors, who were unfailingly kind and giving, the loose network of people who aided the Wolf family were more mixed in their motivations and behavior, by turns kind, generous, and patient but then unpredictable, insensitive, and opportunistic. Put side by side, Anne and Otto’s accounts complement one another, confirming common aspects of life in hiding but also add nuance and complexity, expanding what we know. If this is true for multiple diaries written in similar situations, it is still more true when we include writers whose work reflects day to day life across a wider range of circumstances. There are still more ways that Anne’s diary can be juxtaposed with those of her peers to lessen her singular aloneness. Just as Anne wrote about her tender, budding love for Peter, nineteen-year-old Ilya Gerber in Kovno ghetto confessed his passionate feelings for his classmate Heni, recording his infatuation, their brief encounters and then their abrupt breakup. Just as Anne Frank wrote at length about her relationship to her parents and sister, writers such as Elsa Binder, Dawid Rubinowitz in Kielce, Poland, and an anonymous girl in Lodz ghetto also confided in their diaries their tensions with siblings and their frustrated disappointment in parents. Just as Anne reflected on her ambitions as a writer, her dreams of fame, and her efforts to alleviate her boredom by writing, reading, and studying, so too did Petr Ginz in Terezin, Yitskhok Rudashevski in Vilna ghetto, and an anonymous boy in Lodz, among others, share this impulse, holding to their writing, art, and studies as central lifelines to help survive the stagnation that came with their drastically circumscribed lives. 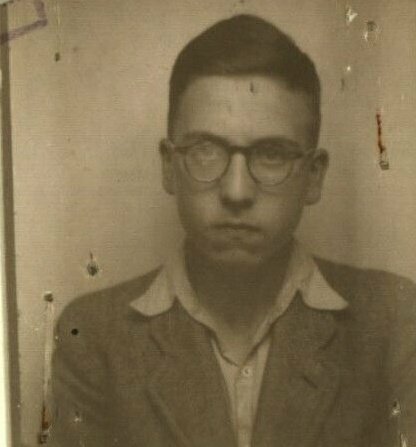 Petr Ginz kept a diary in Theresienstadt concentration and extermination camp. And what about hope? Since the beginning, thanks in part to her buoyant, irrepressible spirit and in part to her words, “I still believe that human beings are good at heart,” Anne and her diary have been nearly synonymous with a particular form of hope, that is, faith in humanity and the future. It's utterly impossible for me to build my life on a foundation of chaos, suffering and death. I see the world being slowly transformed into a wilderness, I hear the approaching thunder that, one day, will destroy us too, I feel the suffering of millions. And yet, when I look up at the sky, I somehow feel that everything will change for the better, that this cruelty, too, shall end, that peace and tranquility will return once more. In fact, hope and its inevitable companion, despair, are among the most prevalent of the themes that run through the diaries of this period. On this subject, too, there are nuances upon nuances across the body of material: some writers expressed determined hope in the face of despair, others voiced fear, supplication to God, resignation, rage, or philosophical acceptance. If there is a virtue in confronting these writers’ points of view, it perhaps lies in seeing their great multiplicity, which, in turn, prevents us from too easily adopting any judgment as our own. The answers to these most difficult questions must lie somewhere in the material’s wide and endless range. When fear crawls out in the evenings from all four corners, when the winter storm raging outside tells you it is winter, and that it is difficult to live in the winter, when my soul trembles at the sight of distant fantasies, I shiver and say one word with every heartbeat, every pulse, every piece of my soul – liberation. In such moments, it hardly matters where it is going to come from and who will bring it, so long as it’s faster and comes sooner. Doubts are growing in my soul. Quiet! Blessed be he who brings good news, no matter from where, no matter to . . . where. Time, go ahead. Time, which carries liberation in its unknown tomorrow; not for Cip, who was happy to live in interesting times, maybe not for me, but for people like me. The result is certain. Down with any doubts. Everything comes to an end. Spring will come. Both girls – one writing as a young teen in hiding in Amsterdam, and the other a twenty-two year old living in a ghetto in Poland – shared the belief that the world would eventually overcome its madness and right itself, even if they did not live to see it. This is a different kind of hope, one that transcends the particular moment or the writer, and captures a faith in the intrinsic power of goodness and right to prevail in the end, even though the very person expressing the hope may become a casualty in that struggle. If Anne’s words have been taken out of context to give us easy answers to the difficult questions we must ask in a post-Holocaust world, perhaps seeing them in full and alongside Elsa’s will remind us that there are no easy answers. And that it is up to us to prove their faith right. 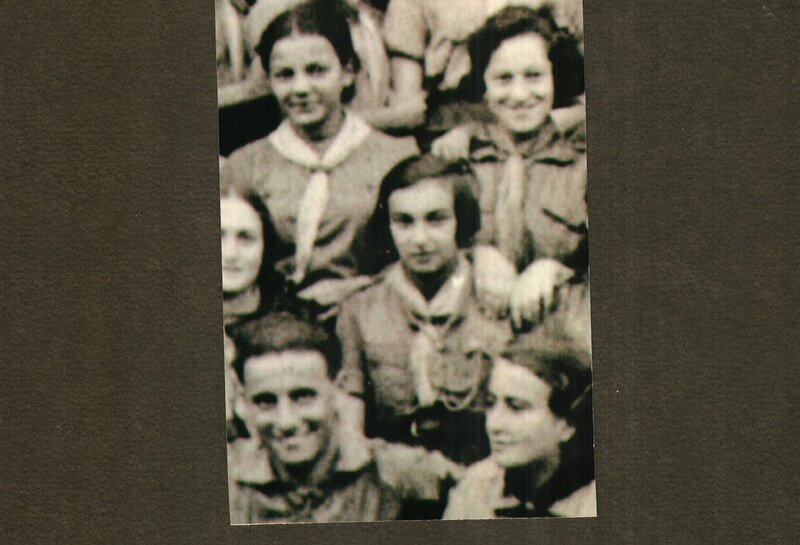 Elsa Binder (centre) from Poland kept a diary in the Jewish Stanislovas ghetto. In the end, to read Anne Frank’s diary is to begin to understand her unique voice, experience and potential. To add still more writers’ words to hers is to hear a chorus of reflections and observations that stand as an important historical record and that deepen and challenge what we think we know about this period. In so doing, we can begin to apprehend for a moment the bigger picture: the silencing of those voices and the permanent, irrevocable damage it inflicts on us all. Alexandra Zapruder is the author of two books, Salvaged Pages: Young Writers’ Diaries of the Holocaust, (published by Yale University Press in 2002 and winner of the National Jewish Book Award in the Holocaust category) and Twenty-Six Seconds: A Personal History of the Zapruder Film (Twelve Books, 2016). Adelson, Alan & Turowski, Kamil. The Diary of Dawid Sierakowiak: Five Notebooks From the Łódź Ghetto (Oxford: Oxford University Press, 1996). Zapruder, Alexandra. Salvaged Pages: Young Writers’ Diaries of the Holocaust (New Haven, CT & London: Yale University Press, 2002).